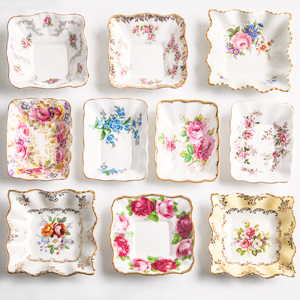 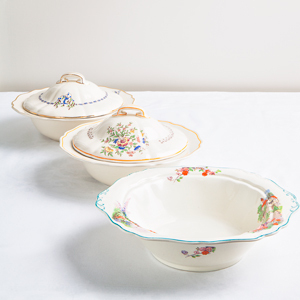 Extremely pretty plates for serving sandwiches or cakes. 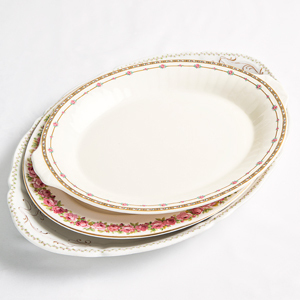 Traditionally known as tab handled cake plates. 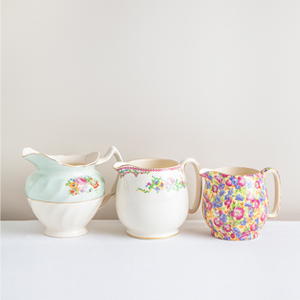 We’re sure you can see why.